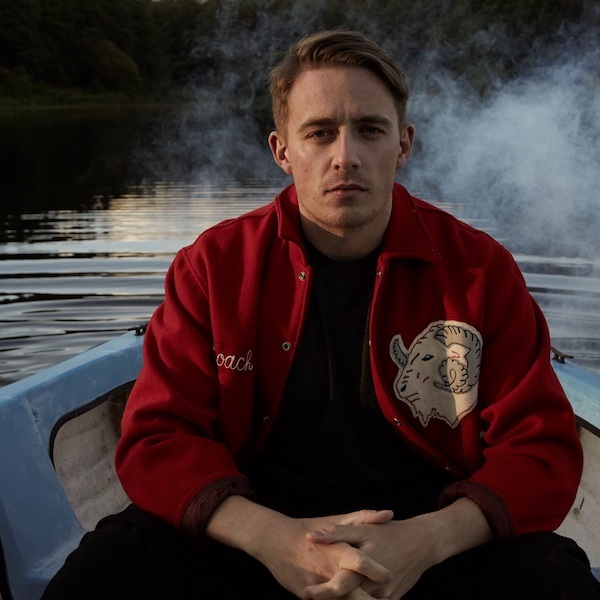 “I started off playing because I was inspired by songwriters like David Gray and Glen Hansard,” explains 26-year-old singer/songwriter Dermot Kennedy whose sound, judging from his latest mixtape, has come a long way since his early days doing open mic nights in Dublin. The moment I sit down with Dermot Kennedy I’m instantly struck by his warm aura, he’s open to letting me in from the very beginning of our conversation. The smile on his face says it all. He’s obviously someone enjoying life and seems to be doing so as the best version of himself. And you would too if you’d gone from performing in tiny Irish bars in front of maybe five or six people to supporting Lana Del Rey in London and having Mike Dean produce your music. Dermot’s journey to where he is now isn’t quite as cut and dry as you might expect. Singer/songwriters, for the most part, are almost bred to be that way, be it through a family member who does music or early music lessons in school. Not this songwriter. In fact, Dermot was more concerned with playing football than he was music - he only stopped playing football last year and it’s something he says he misses a lot. “I didn’t come from a family where I was immersed in music all the time,” he admits. “I mean everyone in my family likes music - who doesn’t? But I wasn’t directed down that path and so what I’m doing now feels really organic. Leading the charge that has now earned him over 90 million Spotify streams, “After Rain” - an early song of Dermot’s that hears him singing about a love lost and a love that’s moved on - is the perfect example of why he’s someone you should be listening to. Impassioned lyrics to the point that there’s no way you can’t feel something listening to the song, once you add in the delicately arranged guitar chords you’re left melting away at this brooding wonder. A fan of extremes as far as his music is concerned, Dermot’s quick to visit both sides of the coin when putting pen to paper. Managed by Ed Millett, the same person who co-manages Lana Del Rey, this is just another reason why the young Dubliner is destined to make it. In an age where most musicians are firing off countless emails to known managers in the hope they’ll get picked up, for Dermot to be headhunted by a proven professional just goes to show that hard work, talent and persistence aren’t just buzz words used to sell an artist. And it’s not just the radar of Lana Del Rey’s management that Dermot popped up on, he also turned the head of Mike Dean. No, not the referee, I’m talking about the legendary Rap-A-Lot Records engineer who went on to become Kanye West’s music director and one of the most sought after producers in music. Having worked with the likes of JAY-Z, Beyoncé, Scarface, Justin Bieber, Madonna, Frank Ocean, The Weeknd, Travis Scott, and many, many more, it’s fair to say he’s a good person to have on side. Eventually getting Mike to agree to remix his song “Moments Passed”, what started out as one song turned into an entire project after an impulse visit to Mike’s home in L.A. resulted in the beginnings of Mike Dean Presents: Dermot Kennedy. “It’s nice to be bringing out a body of work that’s sort of like a surprise,” Dermot says of the new mixtape. “It’s not my debut album, it’s not a standalone thing, or even a new EP, some of the songs probably won’t even feature in my live shows. It’s just nice to be able to bring them out without kinda giving it too much thought and not have them rot away on a shelf. Nearing the end of our chat I decide to broach the subject of comparisons. In my experience a lot of artists don’t like being compared to other musicians. For Dermot it’s Bon Ivor he’s often set side by side with, someone who he admits is an influence and someone whose music he enjoys. Dermot Kennedy’s new mixtape Mike Dean Presents: Dermot Kennedy is out now. You can listen to it here.